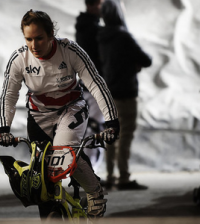 Olympic gold medallist and BMX world champion Mariana Pajon and defending series titleholder Caroline Buchanan are set to battle it out on Manchester’s indoor track at the UCI BMX Supercross World Cup this weekend (18-19 April). 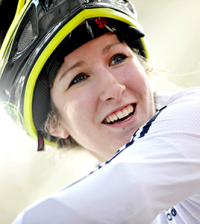 The rivals will join up to 250 of the fastest BMX racers from across the globe, including Great Britain BMX Academy rider Charlotte Green, for two days of showcase racing at the National Cycling Centre (NCC). 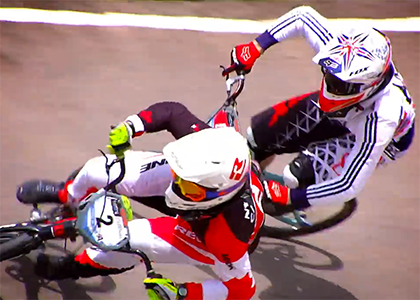 Caroline Buchanan beat Mariana Pajon with a nail-biting pass in Berlin during the 2014 UCI BMX Supercross World Cup series. The Australian rider went on to clinch the overall women’s title but it was Mariana Pajon who took out last year’s crowning race in California. Each will be looking to land gold at Manchester’s opening round of the 2015 series. Tickets are still on sale and families are being encouraged to come and join in the celebration for all ages which attracts BMX enthusiasts and fans of live sporting atmosphere alike. The 2015 UCI BMX Supercross World Cup returns to Manchester’s National Cycling Centre, the home of British Cycling, on Saturday 18 and Sunday 19 April. Single-day tickets are priced from £9 for adults, £7 for children under 16. For further information and to book, visit www.ticketmaster.co.uk/britishcycling. 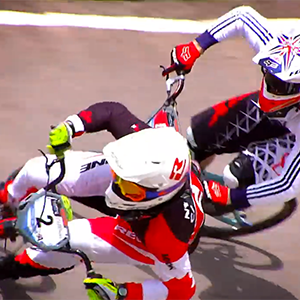 Watch the official 2015 UCI BMX Supercross World Cup Manchester preview here.